8 December 2017—You may not have ever heard of Botswana. And Tim and Joy Coppess certainly weren’t familiar with the country when God began to lay it on their hearts. They never imagined leaving their aging parents, children, and grandchildren to pursue God’s call to the continent of Africa. Joy often shares openly about her conversation with God during her father’s battle with cancer. Would she be willing to be obedient to the call—even if it meant not being with her father when he passed, leaving her mother as the only surviving parent for both she and Tim. God’s timing is perfect and while they said a resounding yes to his call, they were able to make their goodbyes and spend precious time with family while they continue raising financial support. And soon Tim and Joy will be headed to Botswana. 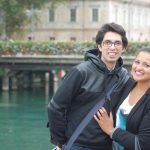 Botswana has recently been in the news with the announcement of the engagement of Great Britain’s Prince Harry and Meghan Markle. The large diamond in Markle’s engagement ring originated in Botswana, the largest producer of diamonds in the world. And Botswana, a country Prince Harry considers as a second home, played a key role in the couple’s courtship. But there is so much more to this beautiful country than a vacation destination for royals. This sparsely populated democracy in southern Africa boasts an economy largely driven by safari-based tourism and provides protection for some of the region’s largest wilderness areas. With a population of over two million, Botswana was once known for having the highest rate of HIV/AIDS infections in the world. Today the country offers one of Africa’s most advanced treatment programs, making medicines readily available, lessening the community impact. Christianity is practiced by approximately 80% of the population, though many practice dual religions—Christianity and an indigenous religion. Global Strategy, the missions arm of Church of God Ministries, is charged with developing partnerships with the global church. In each country or region, missionaries serve alongside church leaders at the invitation of the local church. This provides an opportunity for a collaborative partnership built on a solid foundation of trust and reciprocity. 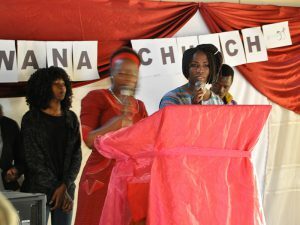 The Church of God leadership in Botswana have extended an invitation to Team Africa to partner in developing pastors and discipleship programming to expand the kingdom of Christ across the region. Many of the current leaders are engaged in the business and educational communities, as well as the local government. In 2016, Tim and Joy went on a vision trip to Botswana to discern God’s leading. Their hearts were captured by all that they encountered. Following their trip, Tim and Joy Coppess felt a connection with the people and saw an opportunity for ministry that fit their passion and skills. As educators, they were drawn to the expressed need for leadership development. Educators are a unique breed with a hunger to know more. They are lifelong learners who are excited to engage others in their own quest for knowledge. When you combine this passion with a love for Christ, the end result was a perfect fit for the Church of God in Botswana and Team Africa. 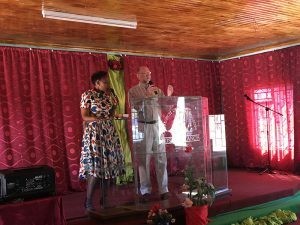 Through their passion for education and expanding the kingdom of God, Tim and Joy will help design and implement a leadership and pastoral development training program working alongside the Church of God leaders in Botswana. In addition, they will work with national leaders and local pastors on outreach efforts throughout the region. They would welcome your ongoing prayer and financial support to join Team Africa in this great work. 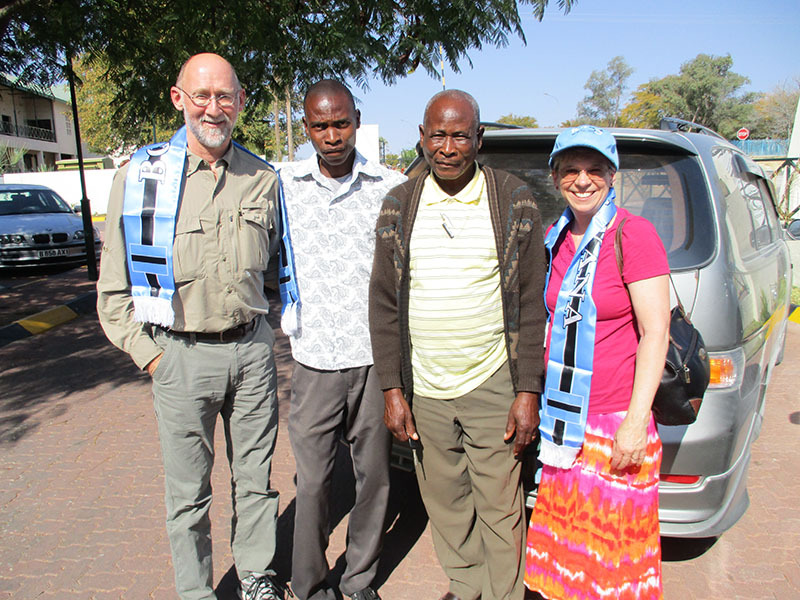 Will you prayerfully consider partnering with the Coppesses in Botswana? 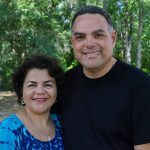 Donations to the Coppesses’ ministry account received by December 31 may be eligible for the imapctX2 matching campaign.